It' got to be got2b! Do you want a stunning style that lasts? 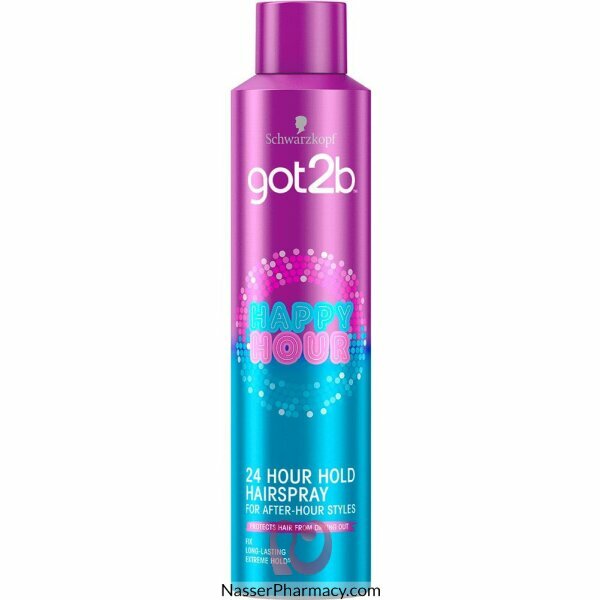 Then got2b happy hour 24 hour hairspray will be your ultimate partner. Give your unique style the long-lasting hold you desire from morning until night - make your hair work as hard as you do! Hold can 30cm away from head and spray your style evenly for 24 hour hold. Use in short bursts. For a unique, individual style that lasts, spray selected strands of hair.